I am pleased to welcome my guest today, Linda Joyce. She is talking about first kisses and her wonderful books: Bayou Born and Bayou Bound. Take it away, Linda! 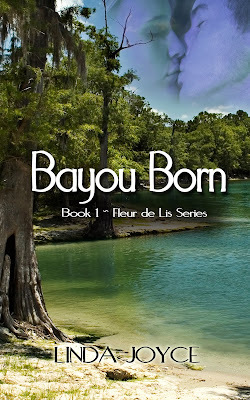 Let me say right up front, if you leave a comment, you’ll be entered into the giveaway: an eBook from Amazon of Bayou Born: Book 1 in the Fleur de Lis series. AND THE WINNERS ARE . . . Elaine, Kelly, David, Gina, and Crystal! CONGRATULATIONS!!!! I remember my first kiss from my first real boyfriend. Imagine a humid night on the bayou beneath a single light on a long, wooden dock. A lanky boy, all summer tanned with a mop of blond hair leaning against a railing, one knee bent, his foot resting on a rung of metal. Me thrilled...and afraid because he is “older” by a few years, being all of seventeen. He tugs my hand, pulls me closer. I glance over my shoulder before turning to face him. Behind me, beyond the dock and crushed, oyster-shell alley, beyond the walls of the only bar-and-grill on the island, laughter from my family, particularly my father, floats my way. I have an inkling about what’s about to happen to me on the dock, and if my daddy finds out, there’ll be hell to pay. It’s not like my parents gave me rules and said I couldn’t have my first kiss until I was sixteen or date until I was seventeen. No, instead, they told me I had to wait until they said it was okay. I might have been waiting until I was thirty, but that night, under a half-moon with croaking frogs sounding like a symphony to me, I summoned my fourteen-year-old courage and took matters into my own hands. I let the boy pull me closer. A current jumped between his hand and mine. He rested his hand on my hip, a very intimate gesture to me. With the other hand, he cupped my cheek. In my mind, I was a star in a movie. I tried not to faint. His lips very lightly touched mine. A full swoon almost had me melting into him. No bones left in my body. Then, my brother and cousin appeared from the darkness. “I’m gonna tell!” they both shouted and ran away into the darkness laughing. Fear took hold of me...and it wasn’t until almost the end of the summer I gathered my courage to try a kiss again. QUESTION: When and where and with whom did you share your first kiss? In Bayou Bound, Biloxi Dutrey’s not had good luck with men. As a photographer, she’s used to capturing images of people in love, though the emotion eludes her. She’s been contracted to take photographs for the local department of tourism and believes some aerial shots would help show the beauty of the Pearl River, the dividing line between Mississippi and Louisiana. Here’s an excerpt from the story in Nick Trahan’s point of view. While standing in front of the doors, he could see her eyes. He wished he’d invited her to his house for a drink and some music. He wasn’t ready for the evening to end. “Dinner was wonderful. Thank you, Nick. I had a great time. The Chateau is an interesting find.” Biloxi held out her hand. She wanted a handshake? Grasping her hand and pulled her close. “Say ‘yes, Nick,’” he whispered close to her ear. “To flying?” she whispered back, her breath quickening. He cupped her face with his hands. His thumbs caressed the soft smoothness of her cheeks. He bent and touched his lips to hers. When she didn’t resist, he deepened the kiss. Everything about her felt right. The form of her body molded to his. Her arms circled his waist. She kissed him back. She was warm and smooth and heaven in his arms. Want to know more about Biloxi and Nick? Biloxi Dutrey grounds her jet-setting photography career and returns to Mississippi when she learns her family home, Fleur De Lis, is headed for financial ruin. She plans to save it by scooping up the job of Keeper. But that means breaking tradition, and her family isn't cooperating. Veterinarian Nick Trahan is new in town and wants folks to stop matchmaking. He won't settle for just a pretty face. He wants the perfect woman, one who believes in family and commitment—the exact opposite of his parents. Nick rescues Biloxi during a raging storm, but the squall is tame compared to the tempest between them. Soon they experience the backlash from the long-standing feud between their families. If Biloxi surrenders her dreams for Fleur de Lis and toes the line with tradition, will she also be forced to give up on "forever love" due to the hate their families still harbor? Bayou Bound is book 2 of the Fleur de Lis series and will have a release date real soon. Book 1 is Bayou Born. There you will meet Biloxi’s look-a-like cousin, Branna Lind, and learn about their tug-of-war relationship. Ready to meet this large, extended bayou family? You could consider starting with Branna’s story, Bayou Born. 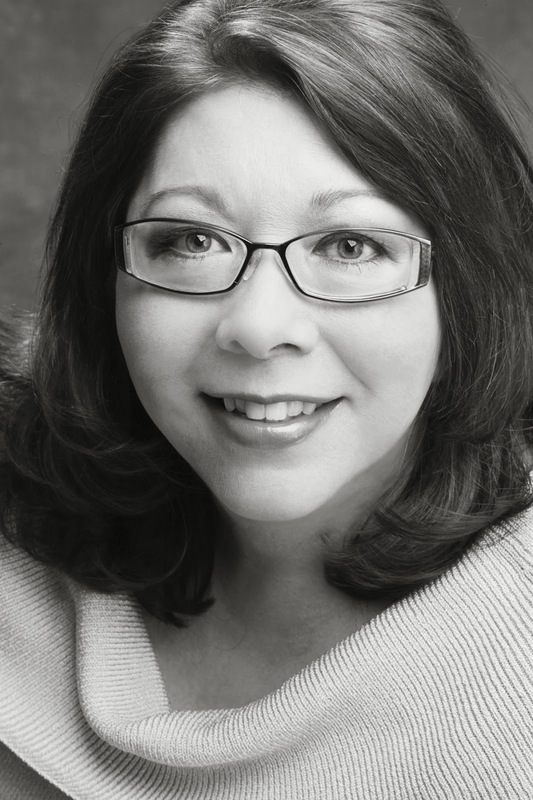 Linda Joyce is an award-winning writer. Her Louisiana roots run deep, and they’re intertwined with her Japanese heritage. She currently lives in Atlanta with her husband and three dogs: General Beauregard, Gentleman Jack, and Masterpiece Renoir. After eleven years, Beau and Linda still struggle for their place in the pack. Beau thinks Linda is his pet. Linda writes romance with contemporary heroines on a journey of self-discovery. Hi there! GIVEAWAY News: The winner will be announced on FRIDAY. Chrys thank you for having me as a guest. I appreciate your hospitality. You're welcome, Linda! I am honored to have you as a guest. And your post is very fun! It was so long ago I don't even I remember the details of my first kiss. Haha. Bayou Born sounds like a great romance! The excerpt was wonderful. Don't we all just wish we were heaven in Nick's arms? ;) And the covers are stunning! And I agree with you, Elaine. The covers are gorgeous! They really do emulate the bayou. TWRP artist did a wonderful job!! I just can't say enough good things about the Wild Rose Press and my covers! They worked to get it perfect. I couldn't be more proud. I love the covers, too! It will be real interesting to see what The Wild Rose Press comes up for book three, Back to the Bayou. 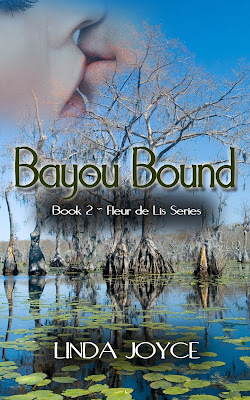 Bayou Born is the story of Branna and James, and Biloxi Dutrey shows up there, but she gets her own story in Bayou Bound. My first kiss was on my front porch after my first date with a guy I went on to date twice (at two different times) in high school. We still talk today. My first kiss was in 8th grade with a girl that dated from another school. All my friends never believed I was dating anyone. Just my BF Jeff, he was the one that hooked us up. It was at the movies, yes I was really original and romantic. What's funny is my parents dropped us off at the mall to see the movie. Bayou Born seems warm and sweet..like one of those books that takes you back home. Thanks for sharing this Linda and Chrys! My first childhood kiss was in a pine tree in the 4th grade. The boy who lived behind my house, Duke, was in love with me so he convinced me to climb the tree with him and kiss him. It was very nice. I love the pine tree kiss! Like a man who knows what he wants and pursues it...and there's much to be said about Italian Hotties, too. Your praise is heartwarming to me. Thank you so much! Elaine, Kelly, David, Gina, and Crystal! Chrys, I'd like to send you a copy, too, for your generosity in hosting me. It's November and a time of giving thanks. I'm thankful that you took a moment to leave a comment and share about your first kiss. If you will email me your email address, I will send you, through Amazon, an eBook of Bayou Born. Then, you'll be up to speed when Bayou Bound hits the shelves. I enjoyed sharing this time with you. So many winners! Thank you so much for your generosity to the commenters on my blog, Linda. And I would love to read Bayou Born! Thank you so much!! All gift copies have been sent. Please let me know if you enjoy the journey of Branna and James.